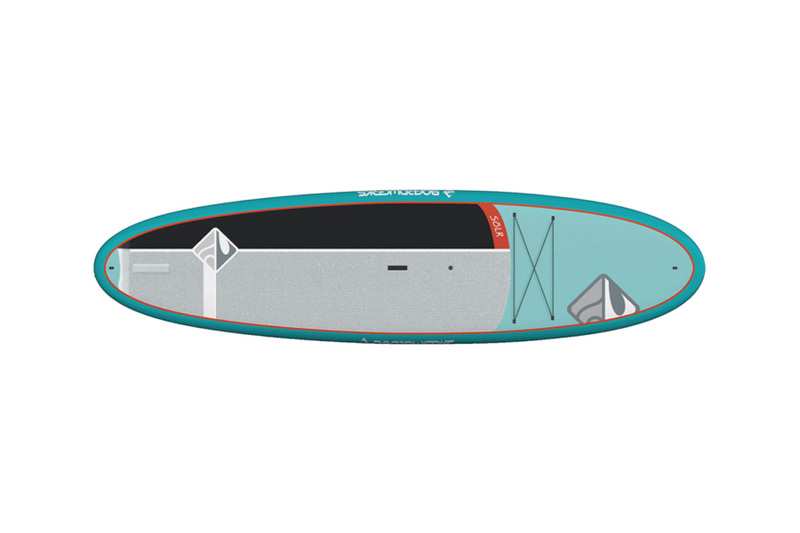 The brand new Boardworks Solr is sold in a convenient board + paddle package. 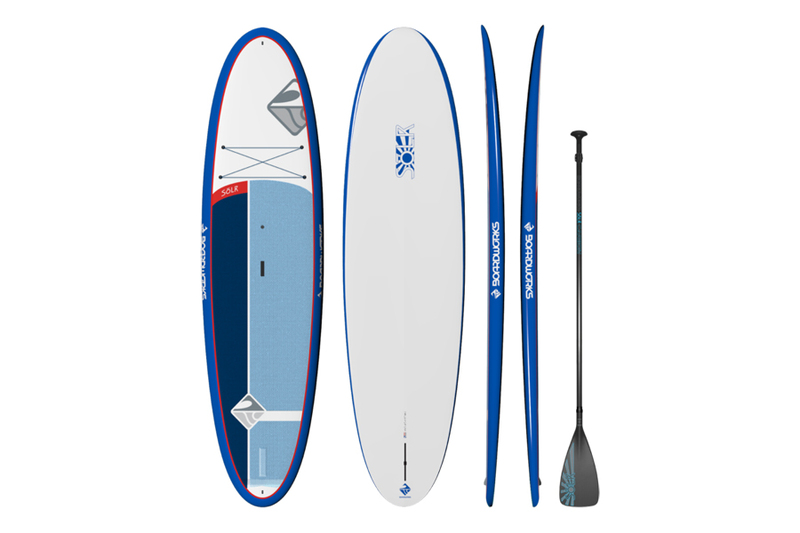 This is the perfect board for beginners wanting to get on the water and start paddling and yet it’s a board that they can grow with as they improve their technique. 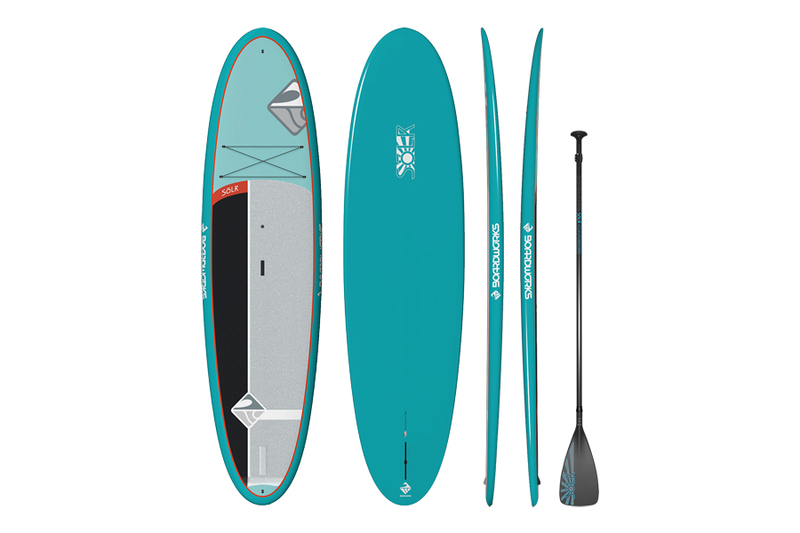 The Solr comes with our custom full carbon fiber two-piece, adjustable paddle. Storage options on the forward deck consist of four anchor points that allow for bungie or deck tie-downs allowing for ample secure storage for extra gear. The ultra-comfortable honey foam heat embossed deck pad offers the highest level of traction without the usual water retention of brushed open foam traction pads. 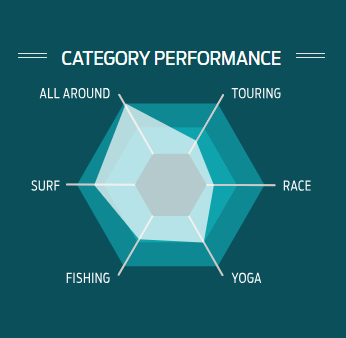 The Solr package checks off all the boxes by being light weight, stable and convenient. 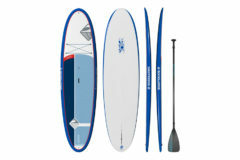 Its the perfect board for beginners or intermediate paddlers who want to get on the water and start paddling today. The Solr features X-Shot construction: Aerospace grade expandable epoxy infused onto our molded EPS core, reduces the amount of waste, improves weight consistency, ensures a maximum bond between core, cloth and resin. 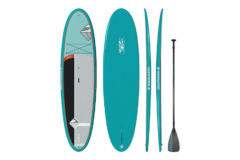 Comes with adjustable carbon paddle! !